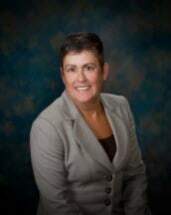 Debra Coble practiced as a Registered Nurse in the areas of Emergency Room, Medical, Surgical and Open Heart ICU for a period of 11 years before passing the Alabama State Bar and becoming an attorney. After law school Debra had the privilege of clerking for James Duke Cameron of the Arizona Supreme Court. During that time Debra learned how the highest state courts operated and wrote numerous appellate decisions that changed the laws in the State of Arizona. Because of her past experience as a Registered Nurse, Debra has a vast understanding of the complex medical problems that clients face, along with having an insider's perspective on how the medical community works. This knowledge has assisted her in understanding the client's medical issues, and using that knowledge to successfully handle all types of personal injury claims.